The Deep South in Sri Lanka is one of the most fascinating tourist destinations. Out of all attractions in the Deep South, Kataragama, Tissa and Yala draw more travellers than any hotspot in Ruhuna. Apart from the religious aspects of Kataragama - wildlife, nature, and adventure in Ruhuna capture the attention of both Sri Lankan and foreign guests. Situated between Kataragama and Yala, Tissa is the major city centre for visiting guests. Located facing the Tissa-Kataragama main road, just a few minutes away from the Shrine Tissa Maha Seya and in close proximity to Kataragama, ‘Chaaryra Resort and Spa by Chandrika’ is an ideal place to spend a few days of religious worship followed by wildlife splendour. 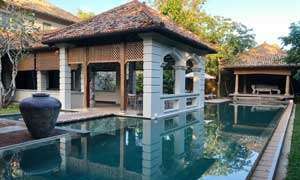 Baptised as ‘Chaaryra Resort and Spa’, Chandrika Hotel was re-launched in March 2018, after a million rupee refurbishment project. 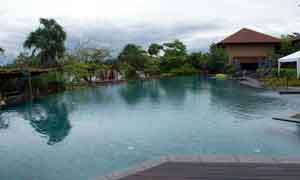 "The rebranded Chandrika Hotel is the only resort in the area with four-star plus facilities. 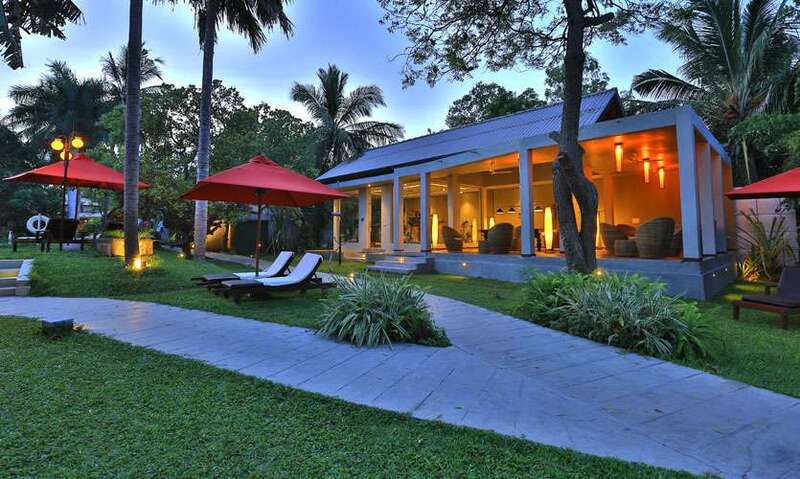 The newly added Spa Lounge, gym, gem, and jewellery shop and the upgraded swimming pool are the latest additions to Chaarya Resort. All rooms, public areas, and restaurants were upgraded under this refurbishment programme. Simply ‘Chaaryra Resort and Spa’ did more value addition to its current facilities," explained Nishantha Jayasinghe, the Managing Director of the property. The Resort enjoys the leading edge over the other competitors with the modern large rooms with ensuite bathrooms, tastefully designed using all fittings and other items of international standards to ensure luxury and convenience especially to attract family travel. Chaarya Resort and Spa consists of 55 newly refurbished Deluxe rooms and Chalets with all modern amenities including self air-condition, LCD TVs with satellite feed, fully equipped mini bar, electronically operated safety lockers, telephone with IDD facility, hot/cold running water, bathtub, tea/coffee making facilities, Wi-Fi facility, balconies and 24 hour room service. Surrounded by greenery, this 55 roomed hotel’s landscaped garden is often visited by endemic and migratory birds. Being surrounded by nature’s lush greenery and the melodious calls of the wild makes it a real ‘escape’ from the hectic urban world. "The Resort is all about luxurious living in an aesthetically pleasing environment, delectable cuisine and plenty of outdoor activities to indulge in. Guests can take time with Ayurveda treatment to rejuvenate at the newly opened Spa Lounge or enjoy the warm waters of the outdoor swimming pool and the massaging jets of the Jacuzzi. All we want guests to do is to relax and enjoy the star class facilities we offer," said Jayasinghe. 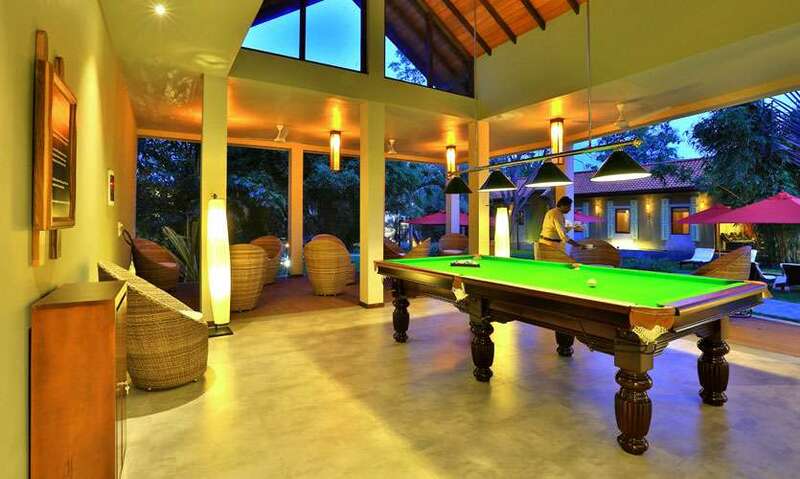 Chaarya Resort and Spa is mainly patronised by foreign guests visiting Yala and Kataragama. "After our rebranding, we are very keen to offer our facilities to Sri Lankan market too. Being close to Kataragama, Yala, and Tissa, we offer tailor-made family holidays to the Sri Lankan clientele. Exciting excursions through the jungle to ancient tanks, bird watching and camping too are now possible with Chaarya. We are customer service based and our motto is 'customer satisfaction'. Actually, when it comes to the high spending religious and adventure travellers or corporate sector visitors, Chaarya comes as the first choice. The hotel arranges any type of outing for Sri Lankans on prior requests. We can even facilitate early morning or late night poojas at Kataragama," explained Susantha Ranaweera, the Senior Manager, Sales and Marketing. The cuisine at Chaarya is unique. It serves many national and international food for all three meals. "Our main feature is Sri Lankan cuisine and even foreigners love to taste our food. Authentic dishes from the area are very popular with Sri Lankans. Our chefs are capable of preparing any kind of dish on guests' requests. Apart from Sri Lankan cuisine, Western and Continental dishes are on the menu," said GM Dissanayake. The restaurant does justice to its large space, serving a delectable range of traditional Sri Lankan, Oriental and Western dishes that would leave you wanting more. The newly built Cosy Bar is the perfect outdoor venue to unwind, after an adventurous safari at Yala. 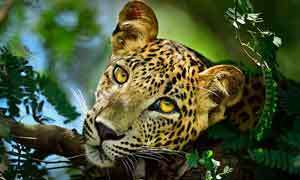 Most significantly, the hotel is just 30 minutes from the Yala National Park, the most popular and the second largest National Park in the country, famed for having one of the highest leopard densities in the world, making it the ideal location from where to launch your explorations. Yala, Bundala, Lunugamvehera, Handapanagala, Kirimetiyana and Udawalawe are some of the wildlife and bird sanctuaries within reach after a couple of hours' drive from the Resort. A short journey through the Yala border on the Buttala road leads to 'Maligawila' where one of the greatest and largest stone sculptured statues of Lord Buddha is preserved. Magul Maha Viharaya in Lahugala, Muhudu Maha Viharaya in Pottuvil, Kudumbigala Aranya, Maligawila, Sithulpawwa in Yala, Buduruwagala in Wellawaya are some of the interesting religious places of few hours' drive. Charrya Resort is now equipped with the facility to hold MICE events, conferences and seminars. 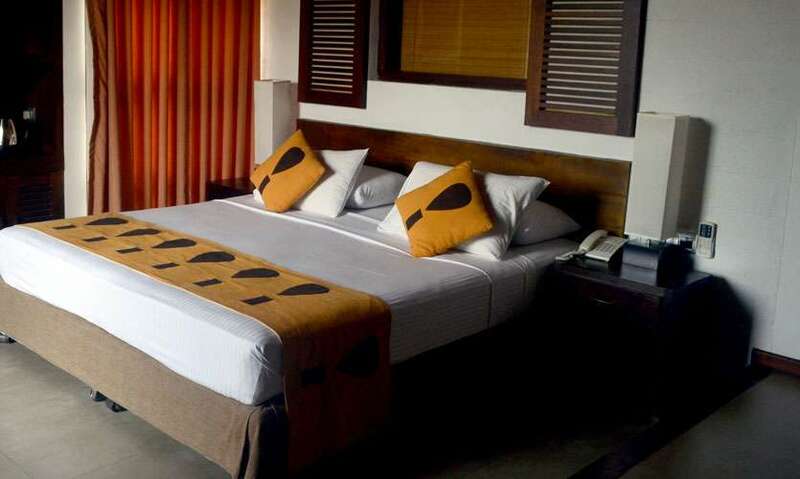 The room rates at Chaarya range from Rs 23, 000/- FBD to Rs. 29,400/- for FBT. Card promotions and 30% special holiday offers untill August are now on.